Connecticut Valley is famous for its highly priced shade-grown brownish yellow product that is caled the Connecticut Shade. The Connecticut Shade is highly elastic which makes it exceptionaly useful in the production process as binders. It has a medium bodied flavour that adds accents to a blend of Ligero fillers resulting in a premium smoke. 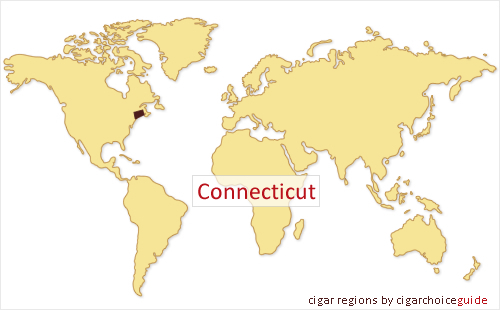 Connecticut is also famous for the Connecticut Broadleaf, a dark leaf that often makes its way into maduro-style cigars. It is heavier than shade-grown tobacco.